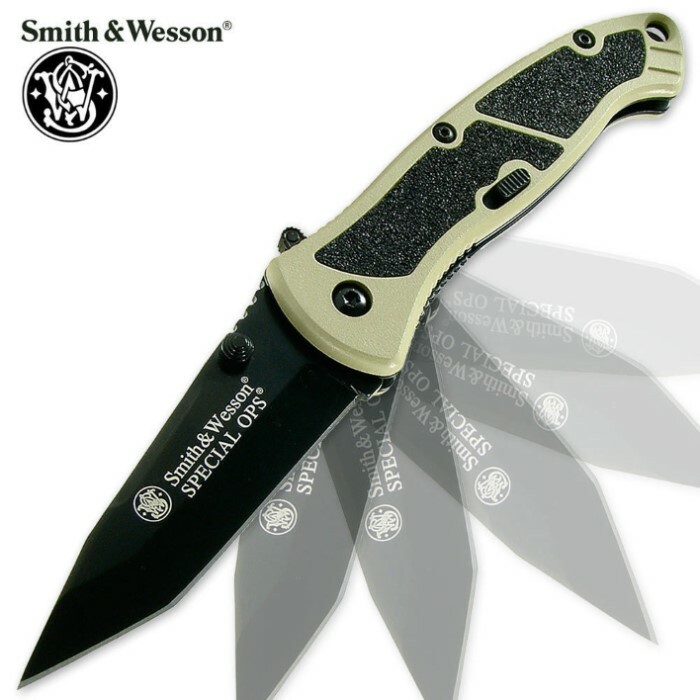 Smith & Wesson Special Ops Assisted Opening Pocket Knife | BUDK.com - Knives & Swords At The Lowest Prices! Smith & Wesson's Large Special Operations Unit pocket knife features a black coated stainless steel tanto blade with thumb knob, powered by Smith & Wesson's M.A.G.I.C. assisted-opening system. The lightweight aluminum handle provides a superb grip with its textured inserts, and the black and tan color combination give it a striking appearance.